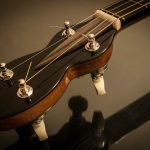 The Session King tenor guitar is regarded by many as the best handmade tenor guitar in the market today. Not many luthiers have taken the tenor guitar, or the longer scale plectrum guitar very seriously. Many of you may own a vintage tenor guitar. Disappointing aren’t they? 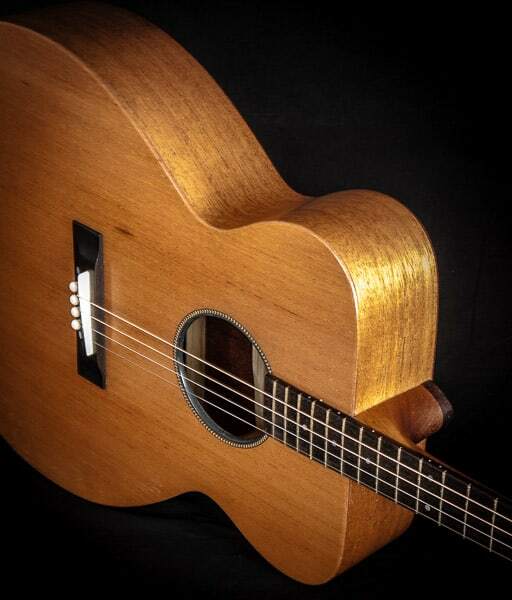 Tenor guitar design was overdue an overhaul, and that’s just what I did. 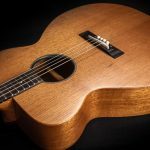 The handmade Session King tenor guitar is turning out to be one of my more popular models so it deserves its own page. You can read a recent review right HERE. 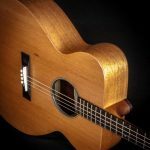 When I came to redesign the tenor, my starting point was simple – I looked at my existing Guitar-Bouzouki design. And simplified it. 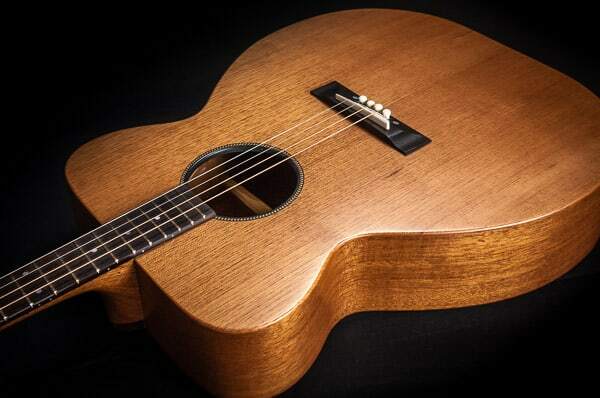 The T-SK has the same body shape as the Forster guitar=bouzouki (GZ-HO.) 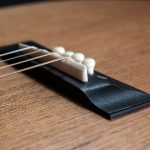 But the soundboard is flattened – first to make it fuller in the bottom end, and also to make the T-SK my most affordable instrument. 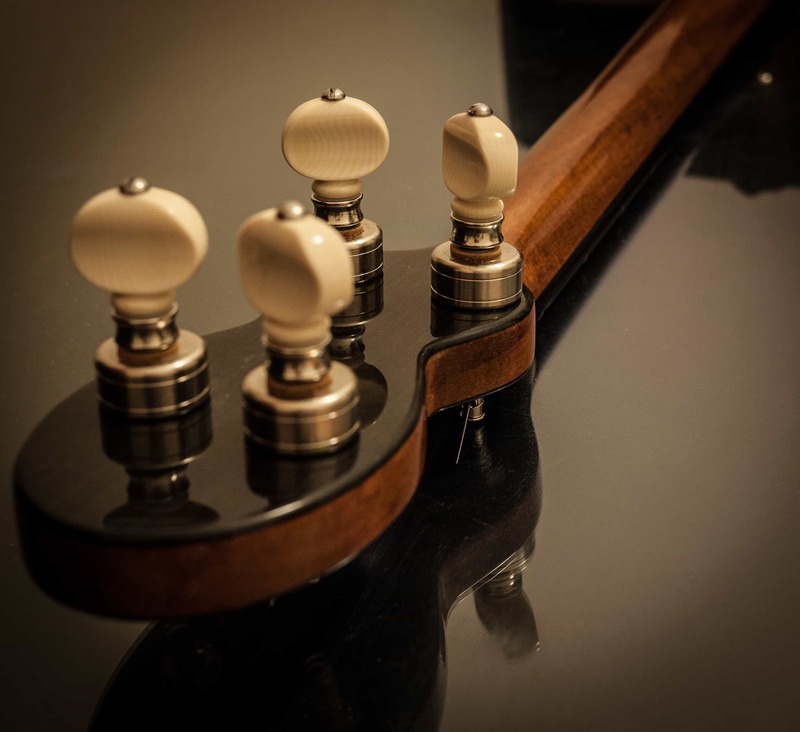 The basic “no frills” model is hard to beat – super loud and responsive, with a mahogany body and cedrela top. 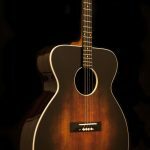 You can upgrade to a spruce, torrefied sitka or cedar top, and upgrade the back and sides to rosewood, flame or birdseye maple, wenge, figured mahogany or figured bubinga. Tenor guitar or plectrum guitar? 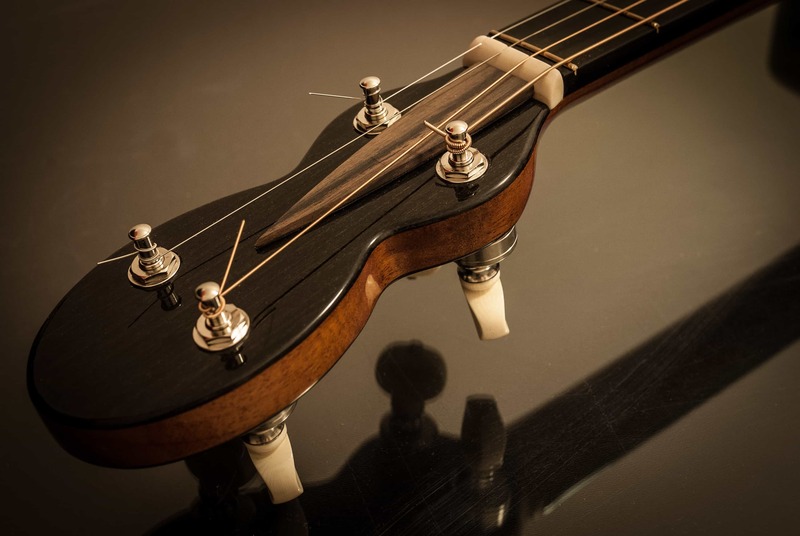 Traditional tenor guitar tuning is CGDA. But in recent years GDAE has become very popular for both long and short scale. 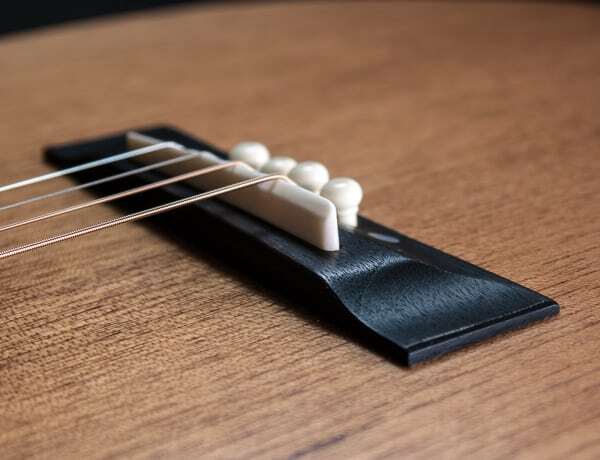 The long scale really suits OM tuning – GDAE which is a very useful tuning for playing in sessions compared to CGDA. 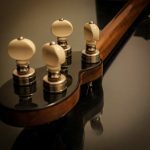 If you’re playing GDAE, do consider the shorter scale – it works beautifully with the right strings. 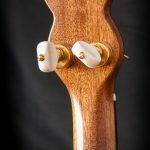 Nickel finish Waverly Banjo tuners. Evo gold fretwire. Nut and saddle are both bone. Handmade pickguard. The finish is satin or upgrade to a high gloss lacquer. Comes supplied with a Hiscox pro case.